Handouts and CE documentation are available as needed for all programs. Participants always leave Deb’s programs with a take home memento, a smile on their face, and greater appreciation for you! Consider gifting participants with a book or CD. Ask about discount pricing for bulk orders. 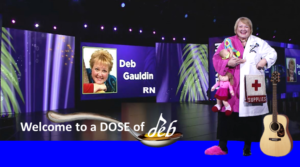 Thoroughly enjoyed Deb’s program. Laughter was just what we needed. It felt like she was talking directly to me, nurse to nurse. Bring her back! In 24 years worth of conferences, this is the best nursing session I’ve ever attended! Nutty About _______________Nursing? Or Just Plain Nuts! Perinatal Nursing, Critical Care Nursing, Nursing Educators, Nurse Legal Consultants, Case Managers, Mercy Medical Center, etc. 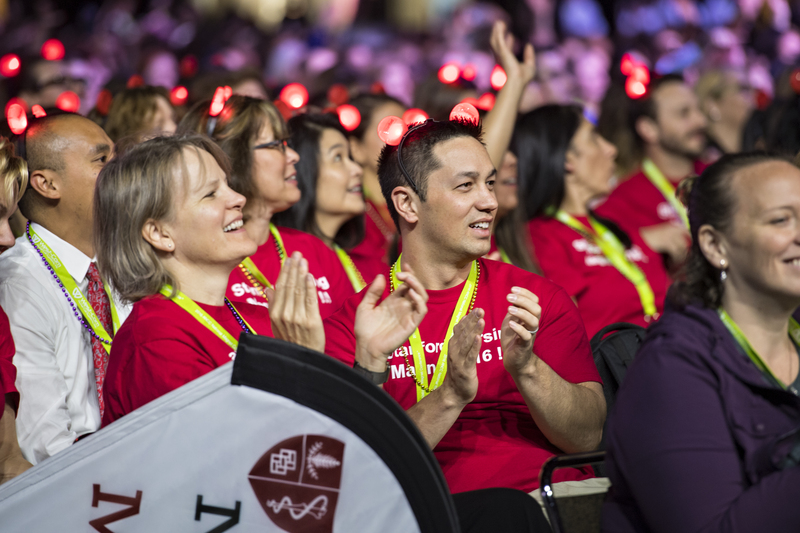 If you’ve ever taken a call from a patient; placed them on hold; turned to a co-worker; and laughed till you wet yourself, you’ll appreciate this lighted hearted look at why you became a nurse and why you stay! Deb’s stress busters and morale boosters will tickle your funny bone as well as tug on your heart strings. Relax, laugh, and leave feeling extraordinarily appreciated for all you do. What would it feel like to take your work seriously, but yourself lightly? Explore the latest evidence-based neuroscience supporting the of healing power of humor. Learn how colleagues around the globe apply this no-cost tool. Differentiate between Toxic vs. Healthy Humor. Learn to apply therapeutic humor as strategy for staying sane during overwhelming times. Most healthcare workers have over-extended bladders as well as over extended lives. Enjoy a lighthearted look at nursing history and how Florence Nightingale remains relevant today. What have we learned? What can we Learn? Ask Deb about her collection of nursing antiques and hands on trivia game! Program closes with inspiring images of nursing throughout history. Learn what’s great about you, why you may feel misunderstood, and how to reframe the way you interact with “crazy-makers”. Create a more positive work environment by suspending judgment, increasing understanding, and improving communication. A healthier functioning team and better patient outcomes are just a few benefits that result when we learn to seek the Most-Respectful-Interpretations (MRIs) of one another. Learn what’s great about your generation, why you may feel misunderstood, and how to appreciate our differences.